Hi guys!!! My planner arrived. 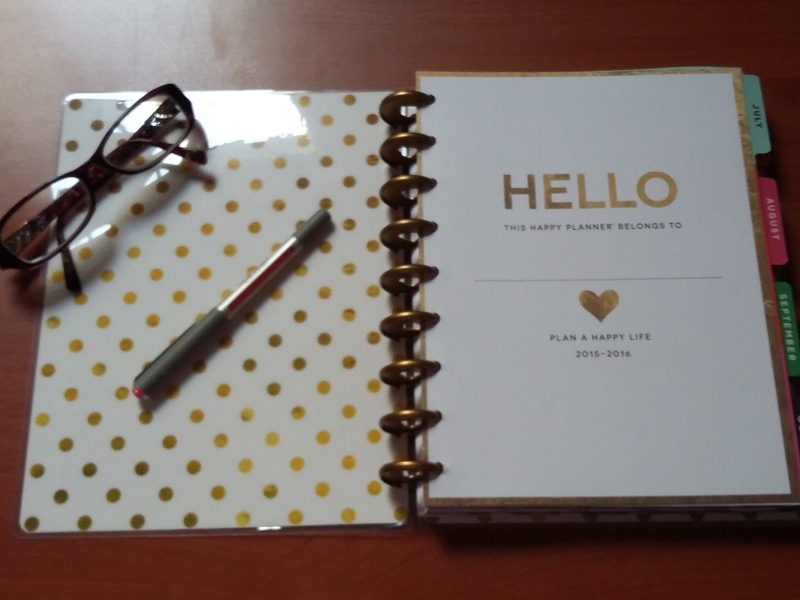 I am now an official member of the Happy planner club, so let’s talk about planners and stickers 🙂 Yay! 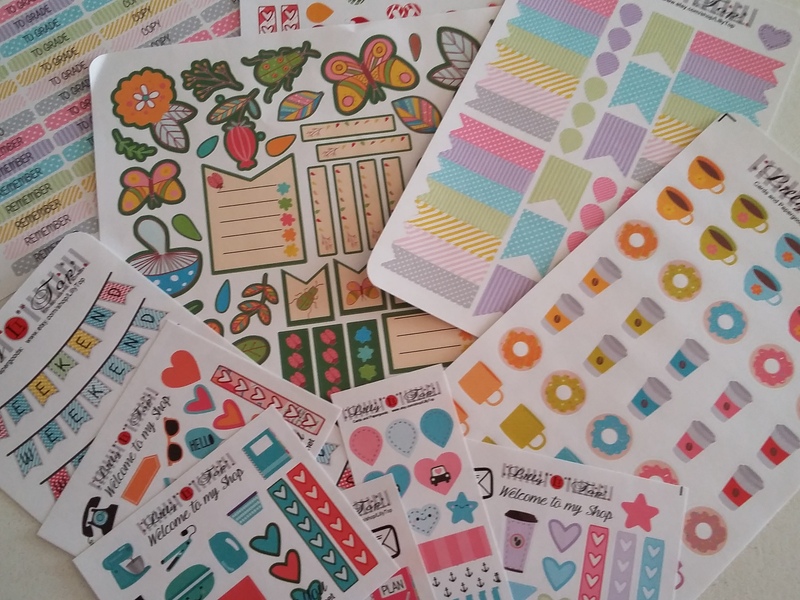 I am officially a planner addict. I got mine from Amazon and it cost me about $50 dollars which is a lot, I know, but then again, it made me happy, so who cares? It is black and has a gold heart in the middle. 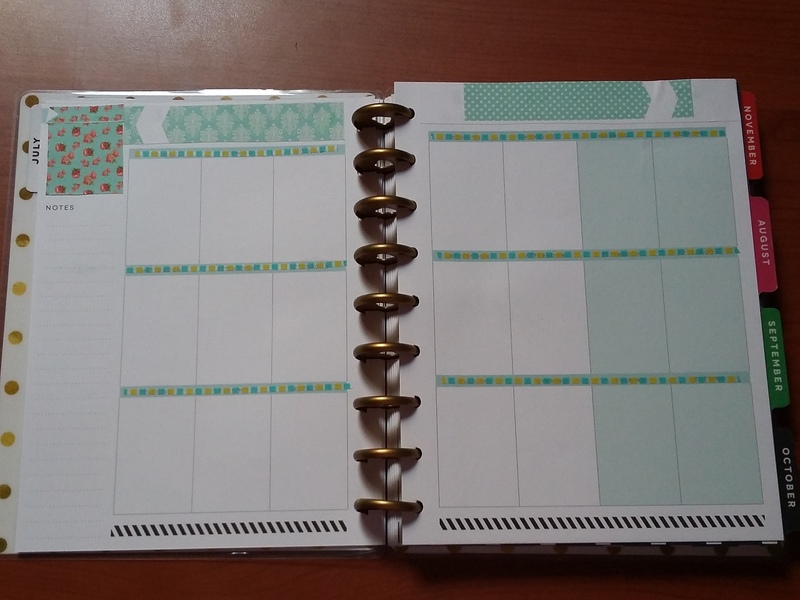 The cover is laminated and the interior cover is with polka dots. The month tabs are laminated as well. There are two pages dedicated to the monthly spread and then you have a two page close up of the months. There is also a note tabe on the left hand side. Each week has a pattern or a quote at the bottom of each week. The final page of the month has boxes where you fill in next months goals, birthdays, special events, things you shouldn’t forget and notes. What did I do to the months that have already gone by? 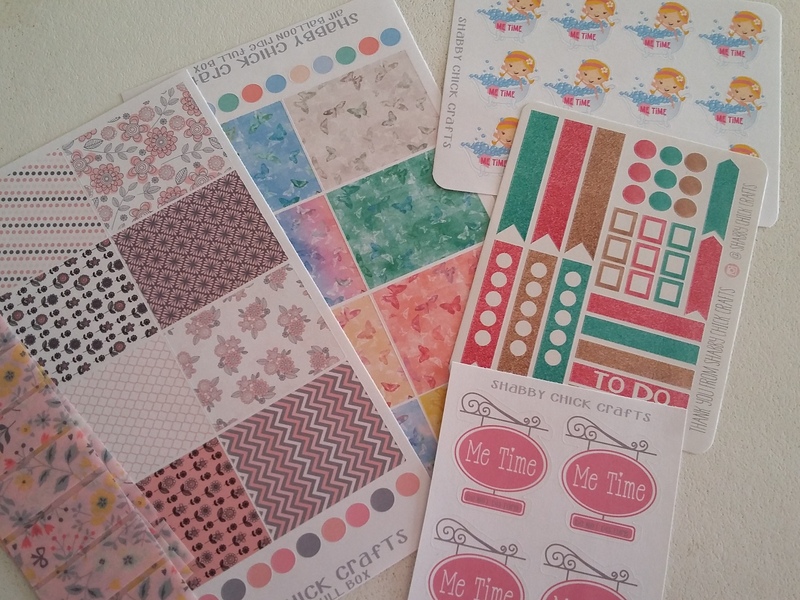 I used washi tape to cover the months and I am using them to write down my blog post ideas, my blog statistics, and everything that has to do with blog posts. I am also going to use a section for all my passwords. 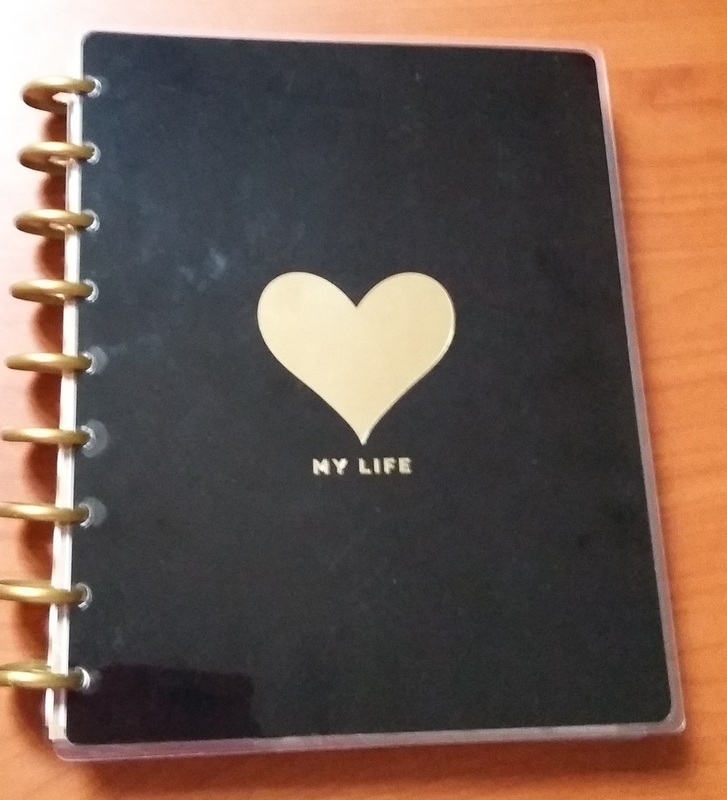 *If you want a Happy Planner and are not in the US, you can buy the same one as mine by pressing here. Remember to follow my blog (see side bar) and leave a comment below if you have any thoughts about planning. If you have an Etsy and would like to be featured, email me (about page). 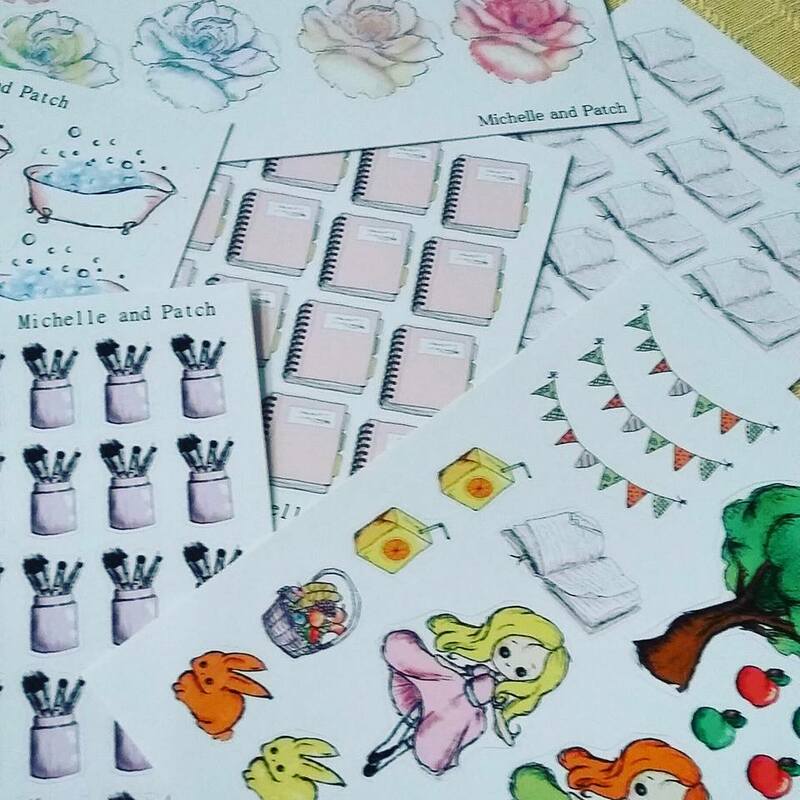 Press the planning category on my sidebar to find free printables and coupon codes to some of the shops mentioned here today. I will be back with another Etsy store feature, so stay tuned :). « How about talking about ….words?